HomeAuto MakeBMWAll-time highs in core business – innovation leadership in future mobility – BMW Group builds further on success. All-time highs in core business – innovation leadership in future mobility – BMW Group builds further on success. “Leadership in innovation and sustainable profitability are the keys to our success. That’s why, we are fully focused on meeting the wishes and needs of our customers, with the aim of igniting their enthusiasm for mobility day after day with appealing products and services,” Krüger commented. With this in mind, the BMW Group will be rejuvenating its product portfolio significantly in the coming years. “We intend to launch more than 40 new and revised models of our three premium brands on the market during 2017 and 2018. 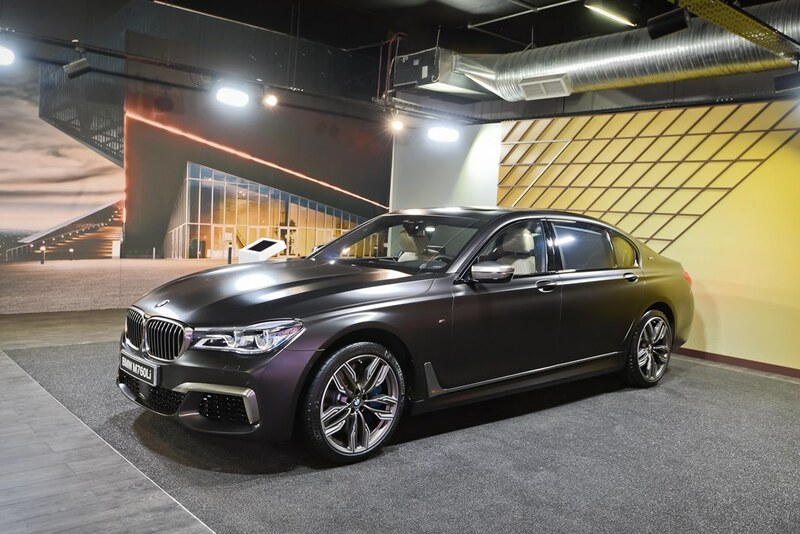 The new product offensive began successfully with the launch of the new BMW 5 Series in February, further raising the bar in the business sedan segment,” continued Krüger. Particular emphasis will be placed on the top end of the premium segment. By 2020, the BMW Group is targeting significant sales volume growth in this area with the addition of a number of new models, including the BMW X7, to complement the BMW 7 series. “Sustainable profitability and innovation leadership go hand in hand. 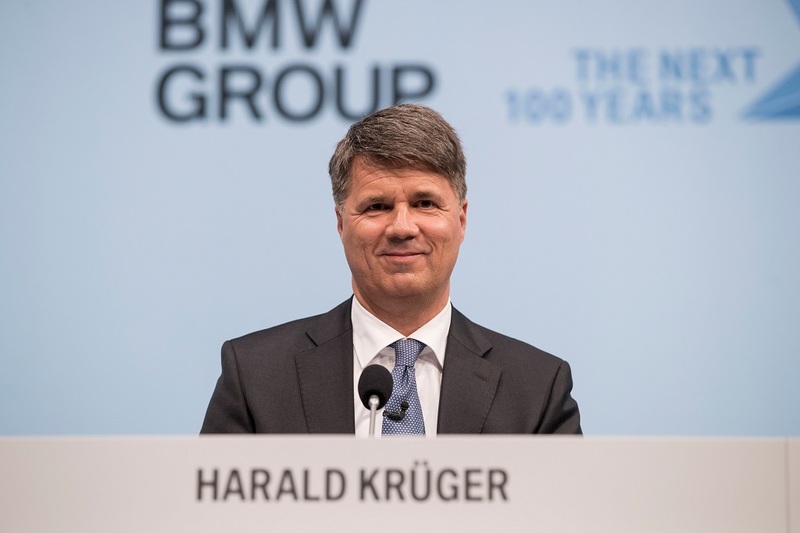 Drawing on our underlying operational strength, we are therefore aiming to achieve an EBIT margin of between 8 and 10 percent in the Automotive segment for the eighth year in succession,” stated Nicolas Peter, member of the Board of Management of BMW AG responsible for Finance. “By maintaining operational performance at a consistently high level, while at the same time focusing on the areas that are becoming increasingly relevant for customers, we will continue to generate sufficient resources to finance the high upfront expenditure needed to shape tomorrow’s mobility.” The BMW Group is in an extremely strong financial position, with cash funds totalling € 13,167 million at 31 December 2016 (2015: € 11,383 million). Free cash flow generated by the Automotive segment during the twelve-month period then ended amounted to € 5,792 million (2015: € 5,404 million). The BMW Group is clearly focused on pressing ahead with its successful electrification strategy. During the next decade, highly dynamic changes are set to take place in the area of electric mobility. However, not all markets and segments will develop at the same pace and the actual outcome depends on a host of factors, including regulatory requirements, which are very difficult to forecast today. Therefore, flexibility and scalability within a strong portfolio of electrified vehicles will ensure the success of the BMW Group. “A successful electrification strategy must be capable of dealing with a range of outcomes, including optimistic or more cautious scenarios. If we manage that, we will be able to reconcile sustainable mobility with sustainable profitability,” Nicolas Peter commented. The BMW Group established itself at an early stage as a pioneer of electric mobility when it embarked on project i back in 2007. Alongside its work on the technological spearhead BMW i3, over the past ten years the BMW Group has focused on designing flexible vehicle architectures and developing suitable modules to house the electrified drivetrain. “Thanks to this approach by mid-2017 – less than four years after the launch of the BMW i3 – our range of products will include eight plug-in hybrid models and we will deliver our 200,000th electric vehicle in the course of the year,” Krüger said. 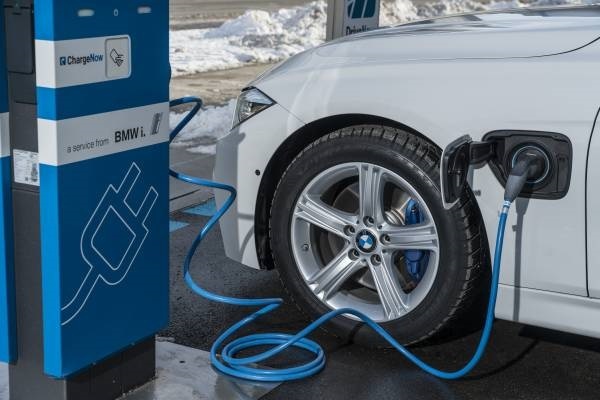 In the meantime, the BMW Group has entered the second decade of its electrification strategy and is raising this exciting, sustainable form of mobility to new levels. The strategy of pursuing project i with its flagship technologies, while at the same time creating flexible vehicle architectures to enable the seamless integration of different drivetrain systems, will therefore be continued. In future, in addition to plug-in hybrid technology all-electric, battery-powered mobility will be incorporated in the BMW Group’s brands, key model series and architectures, in a highly flexible and scalable way. Work involved within the development of the BMW iNEXT will lead to a new generation of electric modules and drivetrain systems entering series production. The BMW Group is also working on automated driving as part of its focus on ACES (Autonomous, Connected, Electrified and Shared / Services). In co-operation with Intel and Mobileye, the BMW Group has drawn up a timetable for introducing highly automated driving with BMW iNEXT in 2021. The relevant technologies will be tested in city centres, including Munich, during the second half of the current year – manned at all times, of course, by a trained test driver in the driver’s seat, ready to take control at any time. In 2017, the BMW Group will also be bundling its entire development expertise in the fields of vehicle connectivity and automated driving at a new campus located in Unterschleißheim near Munich. Ultimately, the new site will be home to more than 2,000 employees working on the next steps towards fully automated driving, ranging from software development to road testing. “Opting for this campus strengthens the role of Munich as a key location and underlines how the BMW Group and the entire region can benefit from changes in the automobile industry,” Krüger stated. 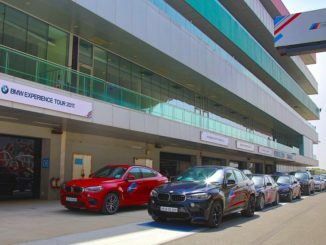 The BMW Group can already look back at an excellent track record with ACES. For instance, the current BMW 7 Series and 5 Series are already equipped with state-of-the-art driver assistance systems. With ConnectedDrive, the BMW Group is a leader in digital offerings and has already put some 8.5 million connected vehicles onto roads worldwide. Since the launch of the BMW i3 at the end of 2013, more than 125,000 electrified vehicles have already been delivered to customers. With DriveNow, the BMW Group is serving more than 800,000 customers in eleven European cities and the new mobility service ReachNow has successfully begun operations in the USA. The BMW Group achieved its guidance in 2016, reporting its best ever figures to date for sales volume, revenues and earnings. Automotive sales volume climbed by 5.3% to a new record level of 2,367,603 units (2015: 2,247,485 units) in 2016. With its three premium brands, BMW, MINI and Rolls-Royce, the BMW Group remained the world’s leading manufacturer of premium vehicles. Sales of electrified vehicles almost doubled to over 62,000 units in 2016. Sales of the all-electric BMW i3 have risen every year since the model was launched in 2013 and the BMW Group aims to sell a total of 100,000 electrified vehicles for the first time in a single year in 2017. 2016 was the first full year for the MINI since the brand’s new strategy was adopted. With 360,233 (2015: 338,466) units sold and year-on-year growth of 6.4%, the MINI recorded the best sales volume figures in its history, with the MINI Clubman and the new MINI Convertible proving to be the biggest growth drivers. Rolls-Royce Motor Cars recorded the second-best sales performance in the brand’s 113-year history. The Goodwood-based luxury car manufacturer sold 4,011 (2015: 3,785) vehicles, 6.0% up on the previous year, despite challenging market conditions. The performance includes an all-time high sales figure for the fourth quarter (1,386 units; +17.4%). A large number of these sales related to the new Rolls-Royce Dawn, of which 1,283 units were sold worldwide after its launch in summer 2016. The seventh generation of the Phantom re-affirmed its position at the very “pinnacle of luxury” – even in its final year of production, the Rolls-Royce flagship underlined the undisputed qualities of this model as the basis for its successor. The pace of growth in Asia continued to gather speed in 2016. Overall, sales of the Group’s three brands totaled 747,291 units (2015: 685,792 units; +9.0%), including 516,785 units (+11.4%) sold in China, the region’s largest market (2015: 464,086 units). Revenues grew by 4.0% to € 2,069 million (2015: € 1,990 million), surpassing the two-billion euro mark for the first time. EBIT increased by 2.7% to reach € 187 million (2015: € 182 million). As in the Automotive segment, the BMW Group is also targeting an EBIT margin within a range of 8 to 10% in the Motorcycles segment from 2017 onwards. The margin achieved in 2016 was 9.0%. Profit before tax grew to € 185 million (2015: € 179 million; +3.4%).